One-step application with an applicator tip. Liquid eyeshadow for big, beautiful eyes with hydrating gloss and stand-out colouring. 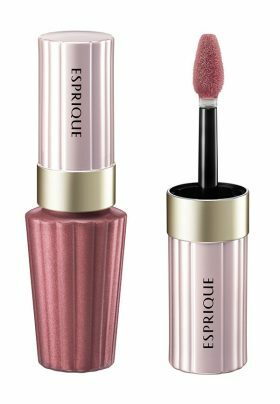 Packed with hydration and in sophisticated colours, this liquid eyeshadow will give you a subtle and mature glossy look. One-step application with an applicator tip for a finger-blurred finish. No dirty hands. Thick so you can apply enough volume. Achieve a smooth, even layer on your lid with a custom applicator designed for a finger-blurred look. For gorgeous graduation that lasts, and big, beautiful eyes. Excellent quick-dry performance, adheres snugly to your eyes, with no smudging or colour transfer, this beautiful finish lasts into the night. Contains beauty serum ingredients with a high level of affinity with the skin, and high moisturising performance. Moist Veil, which contains beauty serum ingredients such as red algae extract, adheres snugly to the skin, giving you a lasting feeling of hydration. Contains Lucent Pearl. Has a glossy wet-look finish with a translucent look. 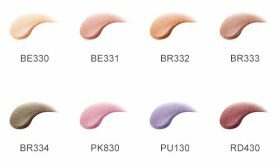 BE330 and BE331 can double as eyeshadow base. Banish dullness and enhance the adhesiveness and longevity of your usual powder eyeshadow. Resistant to sweat and sebum, with a beautiful finish that lasts. Use the custom design applicator tip for an even finger-blurred finish. *KOSE survey, Individual variation present. Take as much as you need onto the included applicator tip, and apply directly to your eyelids.